People lose or misplace the things they care about, lose each other or their belongings get stolen. There are over 10 million people going to big music festivals each year in the European Union, 50 million children are in kindergartens at any given time and 500 million people go to theme parks each year in the developed countries – the list can go on and on. 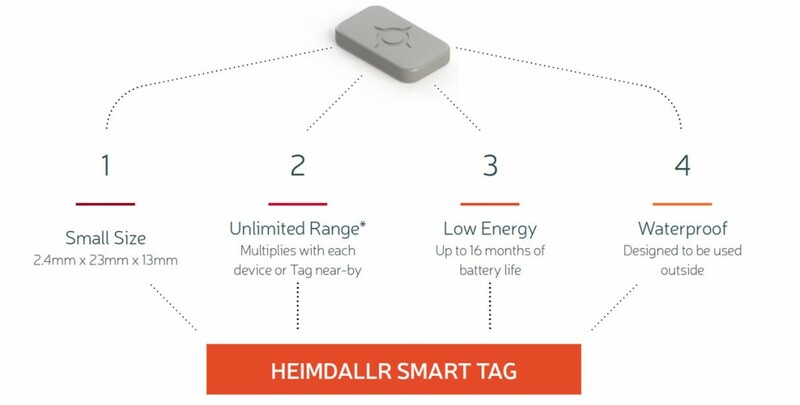 We at Heimdallr Smart Networks are changing all that by creating tools for data analysis and small (2.4mm x 13mm x 23mm) Heimdallr Tags which you can attach to what you love and track them. The tags will connect people to a Bluetooth mesh network, extending the range with each device, covering large areas – like a big music festivals, theme parks or even cities. Perioodil 18.08.2014 kuni 30.09.2014 viidi Euroopa Regionaalarengu Fondi kaasrahastamisel ellu projekt Heimdallr Smart Tags mesh võrgustik loogika”. Projekt sai tuge EAS-i Innovatsiooniosakute toetusmeetmest. MSc IT, over 10 years of experience from Nokia, Playtech, Quretec, Cybercom, Plenware and Frozen Kingdom. Software architecture, big data, bioinformatics, management and mobile devices. BSc, 8 years of experience from Playtech and Halos. Lately focusing on Bluetooth LE and sensor solutions. Robotics, software development, manufacturing and management. MA, 8 years of broad experience in all aspects related to marketing. Marketing campaigns, PR (media relations, communication plan), international relations, budgeting and team leading. MEng, experienced industrial robot programmer/service engineer. Worked on several radio identification (RFID) projects. 10 years of experience in programming embedded systems including autonomous robots. MSc, 10 years of experience with engineering energy efficient automated systems. SWAT modelling, AutoCAD, automated systems design, constructing scientific test equipment and conducting laboratory tests.